VATICAN–The Vatican is asking Catholics to participate in a global survey that asks, “What the hell kinda name is Marcial Maciel, anyway?” The survey, which deals with challenges facing the apostolate after some admitted that their late founder, Father Marcial Maciel, had not been a saintly man, but had been addicted to drugs, fathered children, and was most probably guilty of sexually abusing seminarians. “We ask a few questions in the survey,” the congregation’s de facto superior Cardinal Velasio de Paolis told the press. “We first ask, what the hell kinda name is ‘Marcial?’ Second, we ask what the hell kinda last name is ‘Maciel?’ Third, we ask how the apostolate can redefine their charism. And finally, we ask how in the living hell you have the last name of ‘Maciel,’ and choose to name your son ‘Marcial?’” Experts say that these are all imperative questions to reflect upon for the new leadership. 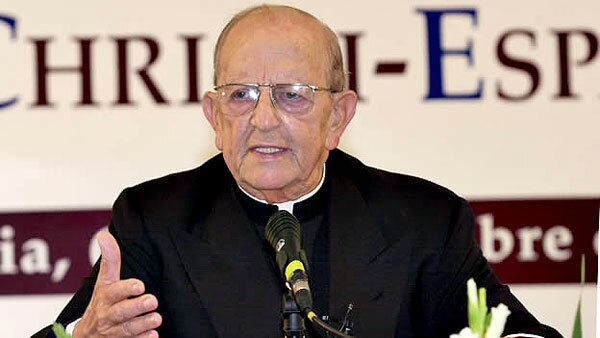 A former member of the Legion’s lay group Regnum Christi Roberto Santos believes that the study will reveal that the absurd name had a part to play in the “fall” of the once-beloved founder. “I personally believe that when you are named ‘Marcial Maciel,’ you will be made fun of at school. Then, perhaps years later, still not being able to get over all the taunting he received growing up, he turned to drugs. After that, it was a snowball. He’s taking drugs, one thing leads to another, to another, to another, and next thing he knows, he’s a priest who has fathered three children and using Legion money to support those children. It all begins with the name ‘Marcial Marcial.’ Did I say ‘Marcial Marcial?’ I meant ‘Maciel Marcial.’ Nope, nope…did it again. ‘Marcial Maciel.’ Did I get it that time? Ok, good.” At press time, members of Regnum Christ are excited about the new possibility of apostolizing for the apostolate without having to spend the bulk of their time explaining that, yes indeed, ‘Marcial Marciel’ or whatever the heck it is, is their leader’s real name.